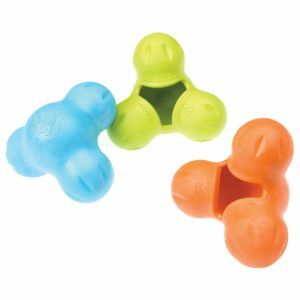 Nylabones Durable Knot - Size (Large) are shaped like a knotted rawhide bone and they’re safe for dogs of all sizes and breeds. Chewing helps alleviate stress and benefits teeth and gums. Dogs gradually grind it away, rather than breaking off chunks. Constructed of 100% non toxic material and best of all it's made right here in the U.S.A. 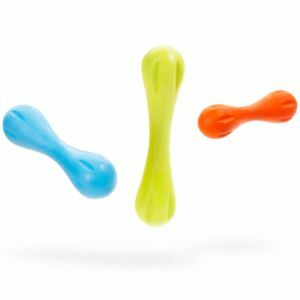 Size: 7" x 2.5 x 2"
The Nylabone DuraChew Knot Bone is a long lasting chew toy designed for powerful chewers. Guaranteed to give your pup hours of fun! Satisfies a dog's natural urge to chew. Cleans Teeth Bristles raised during chewing help clean teeth and control plaque & tarter build-up. 7" x 2.5 x 2"